Could the Coen Brothers be the best American directors working today? A look at their essential films suggests it's possible. With Joel and Ethan Coen's latest movie Inside Llewyn Davis currently in theaters and racking up a number of critics' awards, now's a good time to talk about the essential Coen Brothers movies that led to their latest masterpiece. 1. Blood Simple (1984) Like so many great filmmakers, Joel and Ethan Coen crushed it right out of the gate while still leaving themselves plenty of room to grow. Though mostly an exercise in style, their first movie -- about a woman (Frances McDormand, aka Mrs. Joel Coen) and her lover planning to murder her husband -- is a terrific film noir updated for the '80s, with a healthy dose of black comedy thrown in because the Coen Brothers are very, very funny. Somehow, the Midwest-born filmmakers get the feel of seedy Texas bars and motels just right, and there are great character parts for Dan Hedaya and (especially) M. Emmet Walsh. It was their first collaboration with Frances McDormand, who would appear in a number of their films (and would marry Joel Coen), as well as with DP Barry Sonnenfeld, who would shoot their first three movies before starting his own successful directing career. This is still the most self-conscious of their films, if only because it seems to be ironically commenting on the genre while functioning as a shining example. 2. 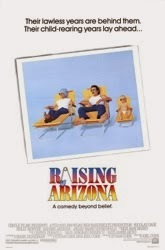 Raising Arizona (1987) The Coens' second film and major studio debut is still one of the great lunatic comedies of the 1980s, and a movie that helped launch the careers of Nicolas Cage, Holly Hunter and John Goodman. Not bad. Essentially a live action cartoon (in part thanks to the high-energy cinematography by Sonnenfeld) drawn from incredibly broad characters and wacky slapstick, Raising Arizona marks the next step in the Coens evolution because of how much soul they infuse into the movie. The Coens might be better than any filmmakers in history at setting up characters for us to laugh at and then making us understand and ultimately love them. 3. 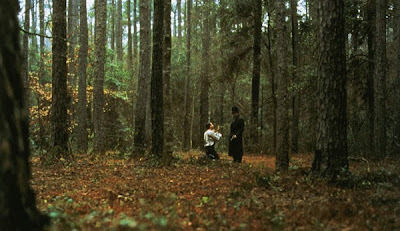 Miller's Crossing (1990) The Coen Brothers kept improving with every film. Their take on the American gangster film was the most underrated entry in their filmography until it began to be reassessed in recent years; our own JB wrote a terrific appreciation of it a year ago in which he championed the movie as an unsung classic. The film is a huge leap forward for the Coens, who showed a new maturity in both writing and direction and who created a gangster film that both celebrated the genre and felt wholly original. They continued to add actors to their repertory company of character actors, too; Jon Polito, Steve Buscemi and John Turturro all worked with the Coens for the first time on this one. 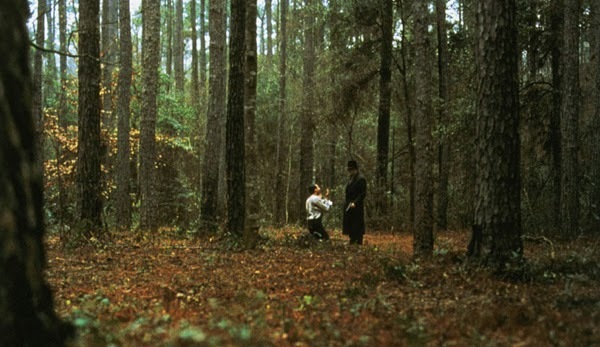 Turturro quickly became a favorite of theirs, becoming a star in a single incredible scene in Miller's Crossing (he got the lead in their next film). The Coens had already made two great movies, but Miller's Crossing is their first bona fide masterpiece. 4. Barton Fink (1991) Having built an impressive resume of films that dabble in familiar genre tropes (film noir, screwball comedy, gangster movies) while still feeling like their own distinct things, the Coens made a movie that defies any categorization. Part comedy, party horror movie, Barton Fink is both a wonderful tribute to old Hollywood and a brilliant meditation on the creative process. It was their most personal and celebrated film to date: the Coens won Best Director and Barton Fink was awarded the Palme D'or at the 1991 Cannes Film Festival. It's movies like this one, however, that made mainstream success elude the Coen Brothers for so long; despite its greatness, Barton Fink is a very eccentric movie. For many viewers, this was their least accessible film. It would not always be that way. 5. The Hudsucker Proxy (1994) The Coens finally made their first big, expensive studio movie -- for producer Joel Silver, no less -- and America responded with indifference. The good news is that they did not compromise their sensibilities despite working for a studio. If anything, the Coens ended up overcompensating, making a movie that tries to match the size of the budget and the scale of the production design with manic energy and speed (Sam Raimi contributed to the screenplay, so maybe that explains some of it). It's a fun tribute to 1930s comedy (especially Jennifer Jason Leigh's love-it-or-hate-it performance) and has some of the Coens' essential sweetness, but does feel hollow compared to their earlier work. They weren't totally swallowed up by the big bad studio, but it wasn't the right fit. Not yet, anyway. 6. Fargo (1996) We've done a whole podcast on Fargo. You should listen to it. I still maintain that it is the Coen Brothers' best movie and the rare perfect film that does everything right. 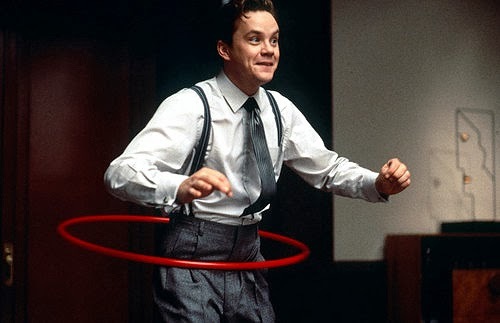 In many ways, it's the culmination of everything the Coens had done to this point: it has the twisty criminal stuff of Blood Simple, the heart of Raising Arizona, the depth and eccentricity of Barton Fink, the majestic beauty of Miller's Crossing. Frances McDormand's Marge Gunderson is still my favorite Coen creation and my favorite movie character of all time. 7. The Big Lebowski (1998) No filmmakers are better at zagging than the Coen Brothers. They finally get their big breakthrough with Fargo, getting Oscar nominations, mainstream recognition and box office success, and instead of capitalizing on that with more of the same they make this sleepy, stoney, silly comedy inspired by Raymond Chandler. It's hard to believe that there was a time in which this was not the beloved, oft-quoted cult favorite it has become after 15 years, but such was the case with Lebowski when it was originally released. It's a movie that almost demands repeat viewings, because (as with a lot of Coen Brothers movies) there's something of a learning curve. You have to first realize that the shambling aimlessness is the point, and only then can you appreciate the joke. This movie has more great Coen Brothers characters than maybe any other in their filmography. 8. O Brother, Where Art Thou? (2000) The one-two punch of Fargo and The Big Lebowski gave the Coens the confidence to tackle a project they had been working on for years. Adapting The Odyssey as a Depression-era bluegrass musical (with a title on loan from Preston Sturges' Sullivan's Travels), the Coens made a formalist comedy/fantasy that's episodic and zany but also a really sharp critique of American history. In many ways, this is the movie that The Hudsucker Proxy tried and failed to be. Though it's not one of my favorite Coen Brothers movies, it's an important step in their filmography as it was the start of their commercialization in the 2000s -- the commercialization that imploded with Intolerable Cruelty and The Ladykillers. The irony there is that O Brother is hardly a commercial movie; it just feels like one because it's beautifully photographed, has tons of great music and stars George Clooney, whose career finally came into focus after working with the Coens. 9. No Country for Old Men (2007) Or How the Coens Got Their Groove Back. After the artistic and commercial failure of both Intolerable Cruelty and The Ladykillers -- two studio movies that felt like the Coen Brothers had lost their way, mostly feeling more like imitation Coen than the real deal -- the filmmaking duo rebounded with a beautiful and utterly bleak adaptation of Cormac McCarthy's novel about hopelessness and the inevitability of death. Javier Bardem joins the ranks of unforgettable Coen characters and turned Anton Chigurh into an iconic screen villain (and was awarded a Best Supporting Actor Oscar for his efforts), but it's the world-weary Tommy Lee Jones that gives the movie its tired soul. The movie was yet another critical darling, but this time achieved the impressive feat of winning multiple Oscars (including Best Picture and Best Director for the Coens) in what was one of the best years for movies in the last two decades. Many consider this to be the definitive Coen Brothers masterpiece. 10. 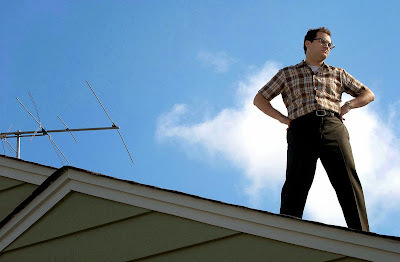 A Serious Man (2009) Every time you think you might be able to figure out the Coen Brothers, they go and do something completely other than what you expect. After finally getting a big mainstream success and winning both the Best Director and Best Picture Oscars for No Country for Old Men, one might predict that the Coens use the platform to really work within the Hollywood system. Instead, they make one offbeat comedy (Burn After Reading) that plays like a parody of Hollywood star vehicles and then make A Serious Man, their smallest and most personal movie yet (the one you only get to make after winning several Oscars, I guess). Here is a movie that is odd and obtuse and seemingly designed to push audiences away, but it never feels like the Coens made it as a stunt. Like so many of their films, A Serious Man suggests that life is a struggle. It's the closest the brothers have come to depicting their own lives on screen. It's brilliant. It just may take a few viewings to really appreciate. 11. True Grit (2010) Here's where the Coens finally pulled off what they couldn't with Hudsucker Proxy, Intolerable Cruelty or The Ladykillers: managed to make a broadly commercial movie without sacrificing any of what makes them special. Opinions of this one have cooled since it grossed over $100 million a couple years ago, but it's a terrific movie -- not one of their masterpieces, but still very, very good. It's their Untouchables, in which their voice and their aesthetic finally matches up with a big Hollywood movie in a good way. And it's still a Coen Brothers movie through and through, from the larger than life characterization of Jeff Bridges' Rooster Cogburn to the film's love of language to the way that it subverts genre conventions. The major takeaway from True Grit is that by this point in their careers, the Coens are in such command of the art form that they make directing a movie this good look totally effortless. I would say they are definitely the best American directors working today. I can't think of any other directors who have made masterpiece after masterpiece for thirty years without losing the magic. What's really great about their legacy (which is still unfolding) is that every generation seems to have a movie that introduces them to the Coens. For me it was Fargo, but for some older than me it was Raising Arizona. Now No Country For Old Men is to a lot of people what Fargo is to me. They're amazing filmmakers. They're probably my favorite American filmmakers, by far. I'd go as far to say that even their few missteps (you know which ones) are still better than 75% of the films released those years. (Well, maybe.) I've always had a soft spot for The Man Who Wasn't There, though. I really like The Man Who Wasn't There. I need to see it again. My feeling has always been that it's more "minor" for them, and that aside from the stylistic conceit it's ground they've already covered. I also need to rewatch The Ladykillers, as that's their only movie I actually don't like. Yeah, it's definitely minor. But I know a few folks who put it at the bottom of their list, which is just wrong. 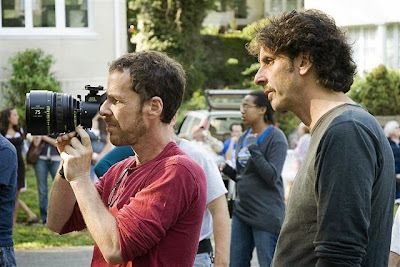 I am right with you guys in saying that the Coen brothers are one of my favorite filmmakers. I think my first experience with them was seeing "The Hudsucker Proxy" when it came out while I was in high school. At the time I did not know anything about them as directors but I was very much taken in by the visuals and style of the film. It was later, while taking a film course in college wherein I first saw "Barton Fink", that something clicked in me and knew I had to go out and watch all of their films. I could praise them at length for their cinematography and visual style alone but instead would like to take a moment to highlight their talent for dialogue. These guys are amazing script writers. I think dialogue is often overlooked in filmmaking as a tool for character development and setting the mood of a film. (at least in many mainstream films) They pay great attention to language use, parts of speech, slang and colloquialisms of the period and setting of their films. My favorite films showcasing this are probably "Oh Brother Where Art Thou? ", "True Grit", and "Raising Arizona". Raising Arizona is probably the most interesting as the language and speech patterns of Nick Cage's character are not in line with the culture or the times of the film but really help to creates an unusual and memorable character. H.I: "...the doctor explained that her insides were a rocky place where my seed could find no purchase." I could not even begin to explain my love of the language in "True Grit". To reiterate what Jason said above, and with which I am in complete agreement, even the films classified by some as the Coen's lesser films or missteps, even those are better than the majority of films being made today. I agree with you 100% about the underrated value of dialogue as a tool of character development, and I don't know if any screenwriters have ever done it as well as the Coen brothers. You didn't call it out, but MILLER'S CROSSING also does the dialogue-as-character conceit brilliantly. My favorite line in TRUE GRIT, and one I probably quote to someone at least once every few weeks: "Ever stalwart!" I really liked A Serious Man. It's the perfect balance of the Coen's respecting (if not liking) their lead character while still sticking to their more cynical strong suits. I think the movie feels very Jewish which is hard to describe except that Jewish culture has a lot of angst and turmoil I think. The movie seems to be about how some people are just cosmically f**ked no matter what they do and that's a very interesting point of view for a movie to take. It's not mean-spirited, but rather resigned that most of what you want to work out will not work out.